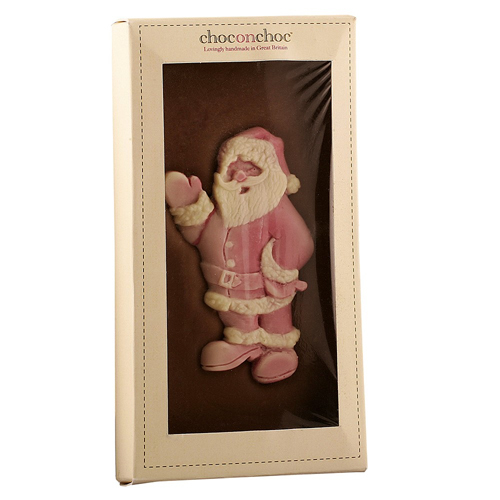 A Father Christmas chocolate bar to make anybody smile this Christmas. Hand made from delicious milk and white Belgian chocolate. The Father Christmas image will really put you in festive mood! This chocolate bar would make a great stocking filler.